Among some of the most popular and incendiary figures in American media are Rush Limbaugh and Glenn Beck. Perhaps coincidentally, both just happen to be staunch conservatives with a knack for raising the ire of numerous segments of society, thanks in no small part to their impassioned voicing out of their individual opinions. Nevertheless, the two are distinct individuals in their own right, although a comparison between the two is definitely in order. Rush Limbaugh was born on January 12, 1951, and is known primarily as a radio host with a decidedly conservative political bent. He is quite an influential figure among conservative circles in the United States. Glenn Beck was born on February 10, 1964, and is a conservative radio host as well, in addition to being a television host and an author. Rush Limbaugh achieved fame–or notoriety, depending on how you look at it–with the Rush Limbaugh Show, which made waves for its unique delivery and sometimes scathing political analysis. 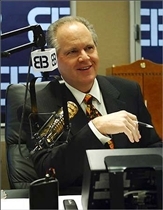 With the launch of the program on WABC radio, Limbaugh began to achieve even more widespread popularity and he became a nationally prominent media personality. As for Glenn Beck, he is known primarily for the Glenn Beck Program, which is aired all over the country on the Premiere Radio Network. Beck also hosts his own cable-news show on Fox. Beck has also achieved fame for his books, six of which have made it to the New York Times bestsellers list. Beck is also involved in numerous other radio, television and publishing projects. Rush Limbaugh is a staunch conservative through and through, and this is in fact what has generated so much controversy for him. Limbaugh frequently attacks mainstream media for its supposed liberal leanings and he has been known to be quite scathing of liberal policies while promoting his own conservative agendas. Limbaugh has also been heard at various times to criticize and/or cast doubt on environmentalism, climate science, global warming, CFCs and its link to ozone layer depletion, feminism and many other burning issues. Glenn Beck is no less outspoken in his views and he has been known to defend traditional American values vigorously, while maintaining a staunch conservative stance. Interestingly enough, Beck touts himself as a conservative with a libertarian bent. Beck is also an advocate of personal responsibility, charity and freedom of religion, among other values. Which conservative guru has more faithful followers? Article title should be "who is worse?" Iagree who is worse or crazier. yea good one schatz, you're an idiot. 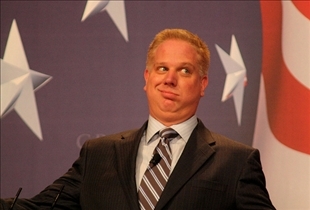 read Glenn Beck's "Arguing with Idiots" then look into the mirror. THERE STANDS AN IDIOT! Aishwarya Rai vs. Priyanka Chopra: Who's your favorite? Donald Trump vs. Richard Branson: Rich and fabulous?